The 49’ers coaching staff is taking more and more shape, and they are looking to Cleveland of all places to add coaches. Not exactly the place you would think to go to look for coaches, but coach Chip Kelly seems to think differently. Today the team chose former Browns defensive coordinator DC Jim O’Neil as the new 49’ers defensive coordinator, and that comes after the team hired former Browns secondary coach Jeff Hafley for the same job with the Niners. As for Hafley, he coached a defense that got beat up it seemed on a weekly basis, but also had to go up against good QB’s like Ben Roethlisberger, Joe Flacco and Andy Dalton. The 49’ers and their fans will get a shot to watch a pair of very good defenses in the upcoming Super Bowl. The Broncos had the best defense in the NFL this past season, and the Panthers were also very good, to the point where they dominated the Cardinals on Sunday night, a team the Niners scored just 20 points against this season in two games. While enjoying super bowl commercial 2016 keep an eye on the two defenses in the big game and see if the Niners can be as good as one of those defenses in 2016 and beyond. 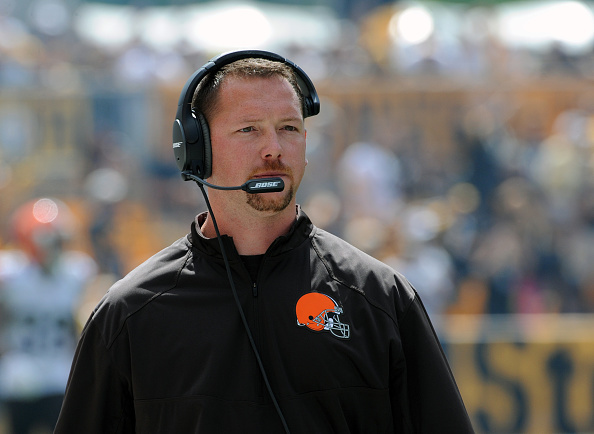 Be the first to comment on "Niners Bring Aboard Two Former Browns Coaches to Run Their Defense"